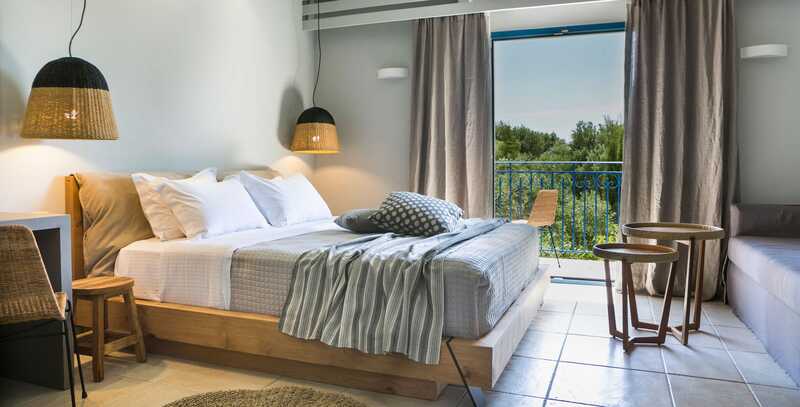 Imperiously declaring its airy presence, escorted by an evergreen orchard of olive groves and cypress trees, Avithos Resort in Svoronata, Kefalonia, swarms with warmth for its guests. 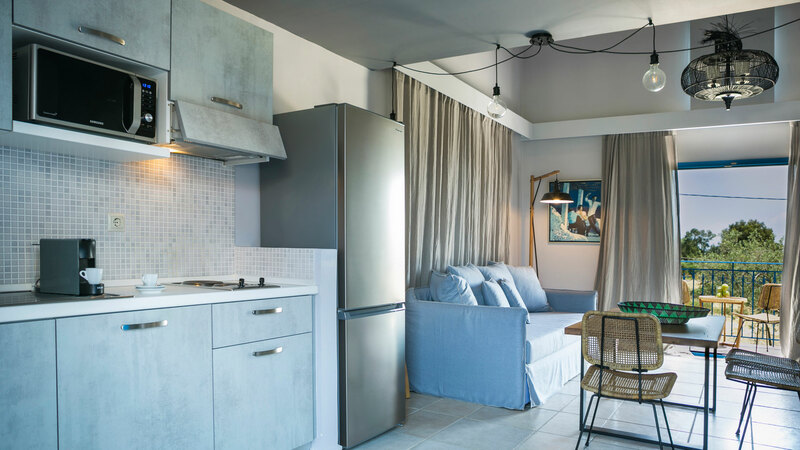 Consisting of seventeen buildings, Avithos is a 4 star hotel that stands out as a resort with a unique character as it gives the feeling of a small neighbourhood. 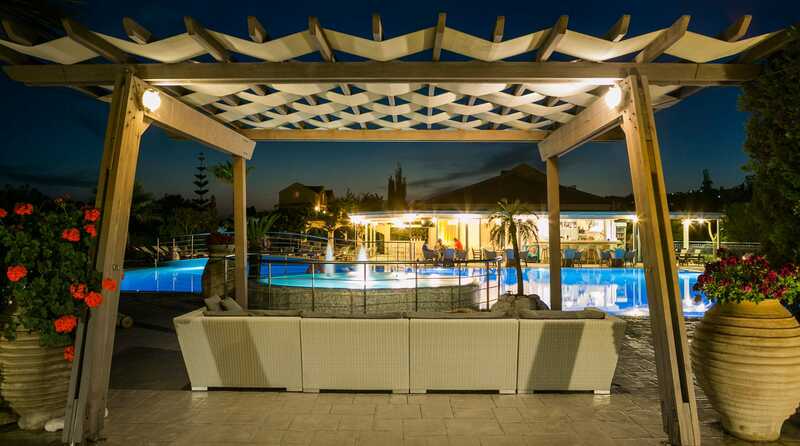 A unique property offering self-catering accommodation that varies from studios to maisonettes and apartments, Avithos Resort is one of the best family friendly resorts in Kefalonia. 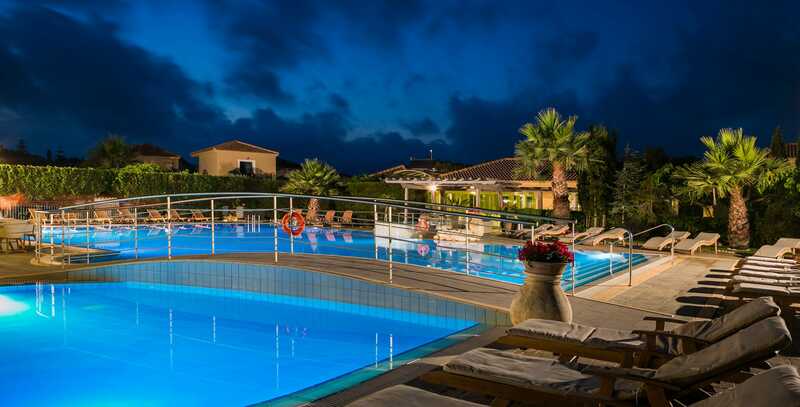 Situated in the charming area of Svoronata, a peaceful area near the Airport and only a 15-minute drive from Argostoli, the capital of Kefalonia, Avithos Resort is undeniably the best solution for a carefree family holiday that offers all modern necessities and comforts: from lounging by the pool and having the little ones playing at the kid’s pool right in front of you to making daily explorations to the nearby beautiful coasts and returning to your beautiful studio or apartment for a midday nap, selecting Avithos Resort for your next holidays in Kefalonia, Greece, will definitely reward you whatever the need. 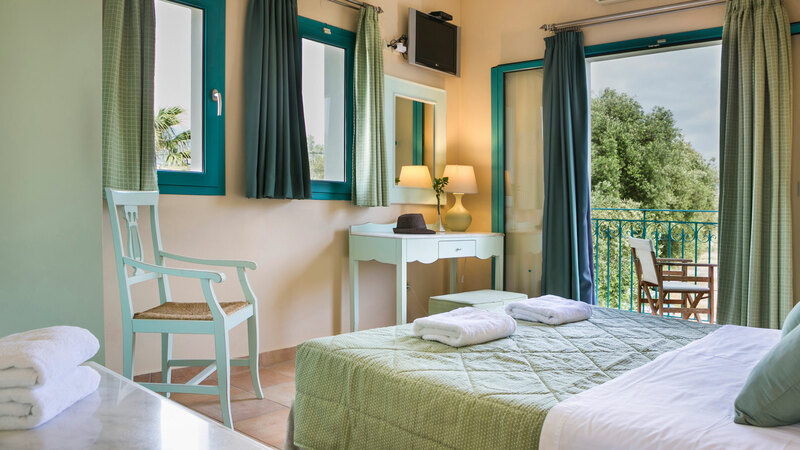 Kefalonia (or Cephalonia) is not only the largest Ionian Island but also one of the most beautiful ones. 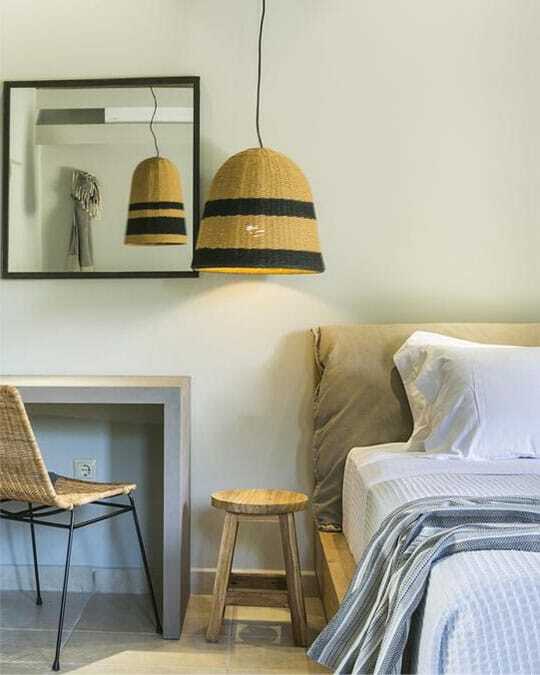 It offers amazing beaches and stunning landscapes but distances can be long and a bit difficult due to its mountainous morphology. 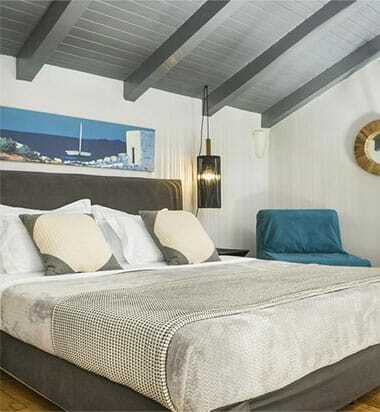 As Avithos Resort is situated approximately in the central part of the island, it allows for excursions throughout both the north and south side without guests having to traverse the entire island each time. 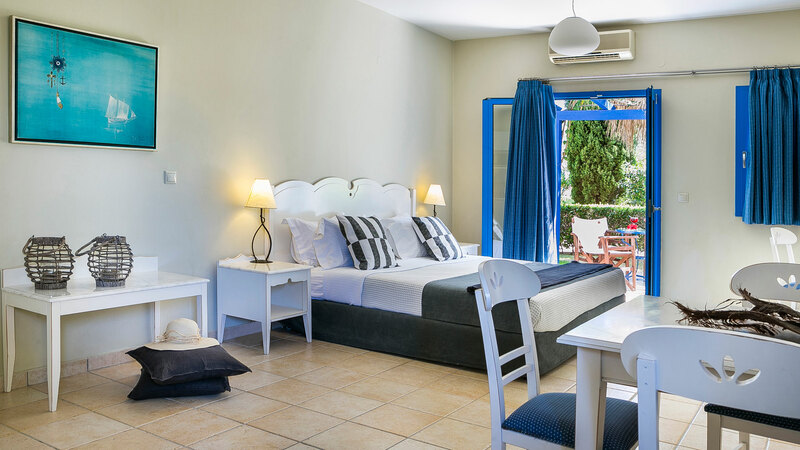 This is especially convenient for families with young children and this is another thing that makes Avithos Resort the best family hotel in Kefalonia. 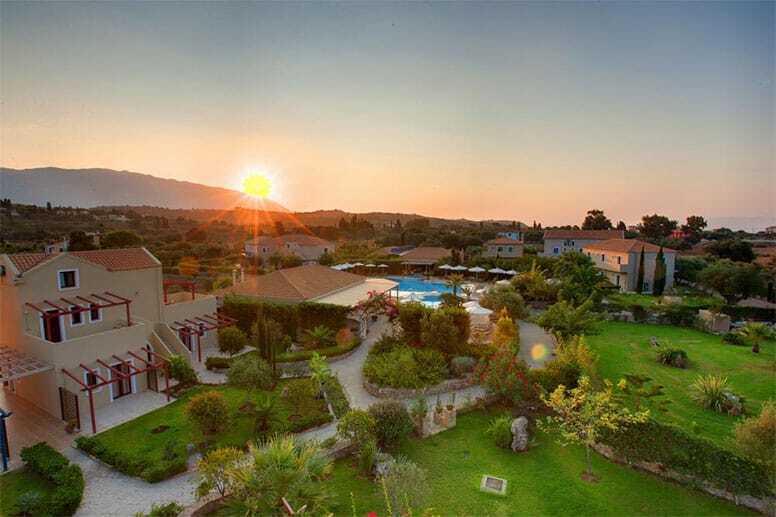 Those who are interested in Kefalonia holidays in self-catering accommodation, Avithos Resort is the place to be! 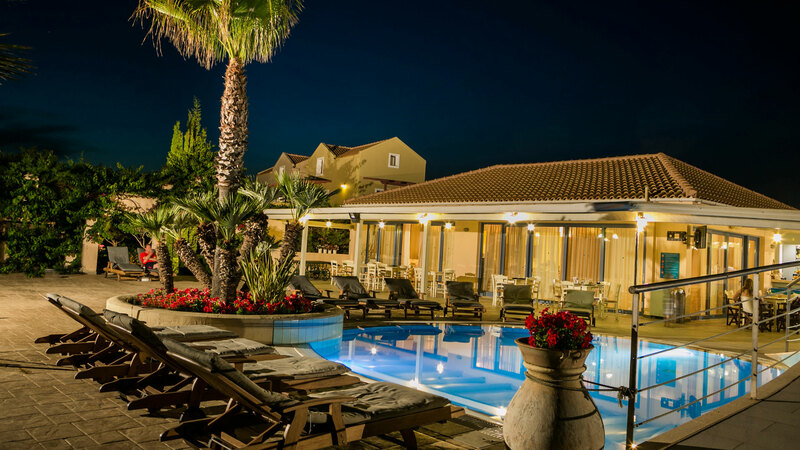 Avithos Resort is not just a charming family friendly hotel; it is actually the absolute holiday resort among the top 4 star hotels in Kefalonia, lovely for couples and groups of friends as well. 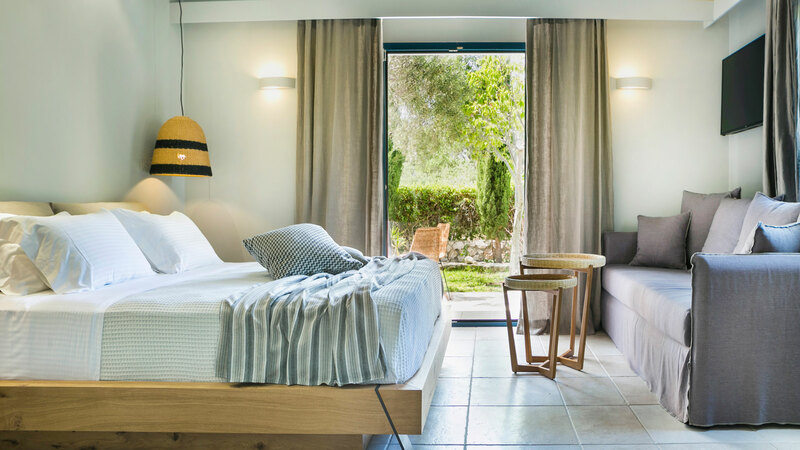 Airy spaces, self-catering rooms and understated luxury are amongst Avithos Resort’s main highlights. 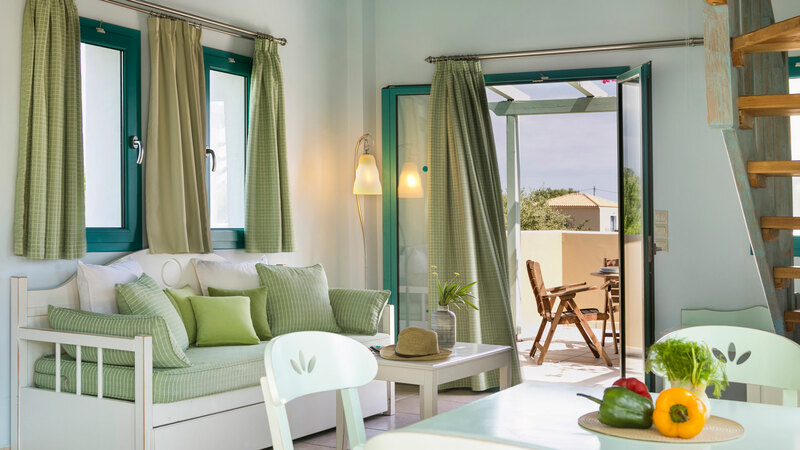 All accommodation types feature elegant decoration, inspired by the serene natural landscape that embraces the compound and sea related elements, balconies and verandas overlooking the lushly vegetated surroundings while the all offer absolute privacy. 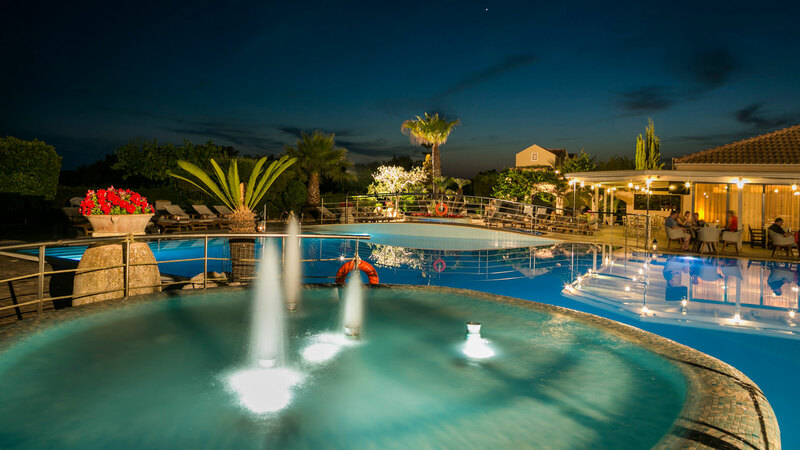 All of these rank Avithos Resort in the top of the list of the most romantic kefalonia resorts for couples. 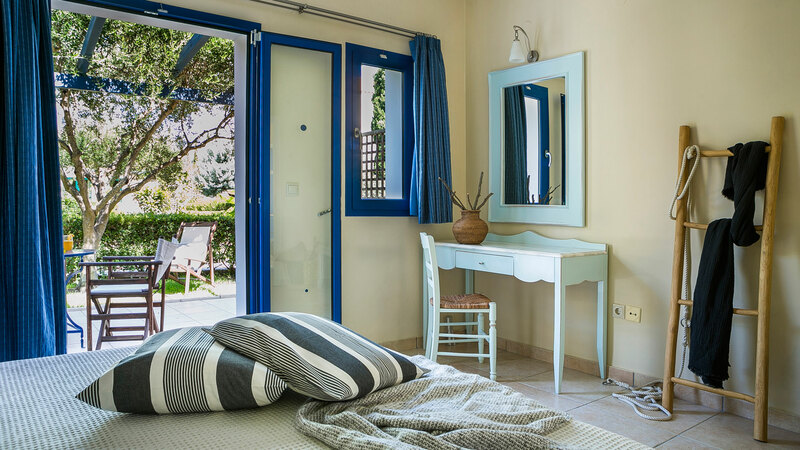 Svoronata, where Avithos Resort is located, is a quiet, verdant settlement very near the sea and the island’s most popular beaches, like Avithos beach. 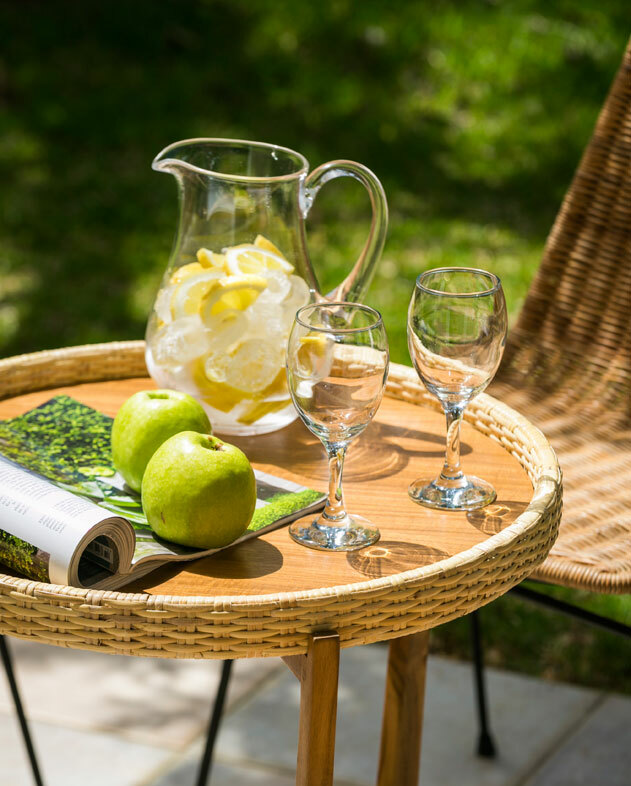 The property is the perfect starting point for everyday walks in the surrounding lushly colourful gardens, countless adventurous sallies, explorations to the astounding beaches close to the hotel and winding paths that lead to nearby secluded spots of unspoilt natural beauty. 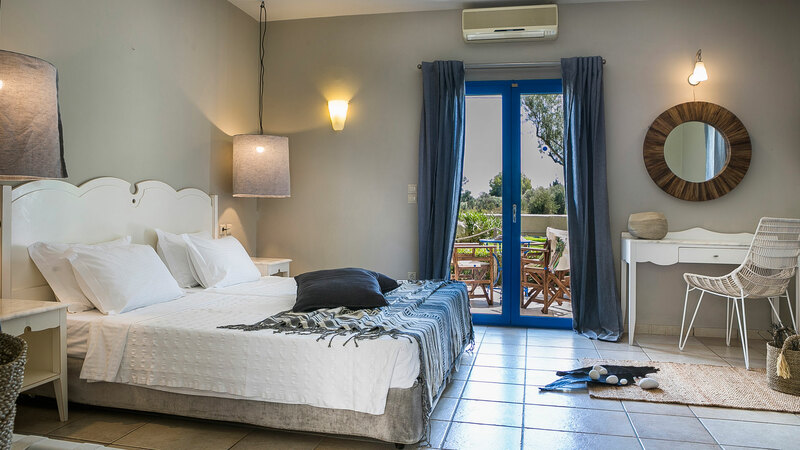 Thus, Avithos Resort is not only among the top romantic luxury accommodation in Kefalonia but also the best place to stay in Svoronata for couples.